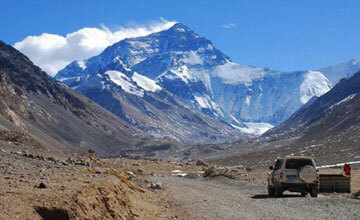 Kathmandu Lhasa overland tour is popular tour in Tibet. 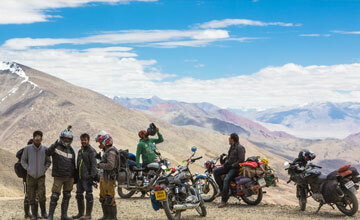 Kathmandu Lhasa overland tour is known as Tibet Lhasa overland tour connects two old capital cities, Lhasa in Tibet and Kathmandu in Nepal. 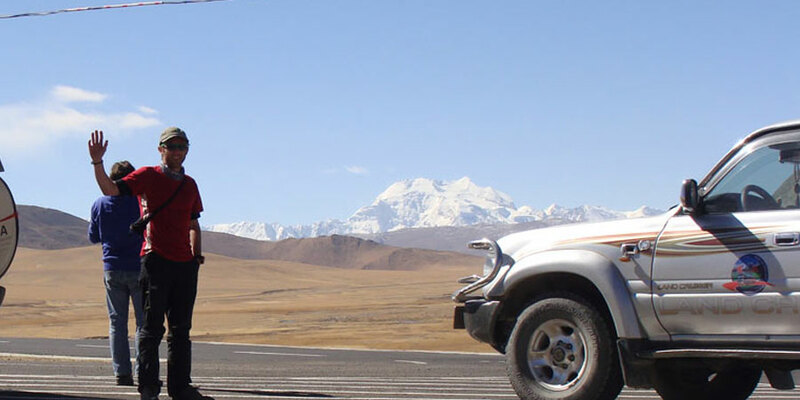 Kathmandu Lhasa overland trip takes you over several high mountain passes with spectacular mountain views, including those of the majestic Mount Everest, Mt.Cho Oyu, Mt. 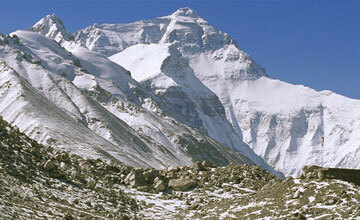 Makalu and Mt.Shishapangma. 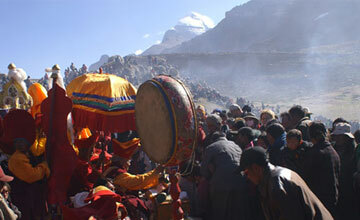 Your adventure tour continues to the historic cities of Shigatse /Xigastse and Gyantse. As you explore the ancient monasteries, forts and citadels you get an insight into the rich Tibetan culture and history. 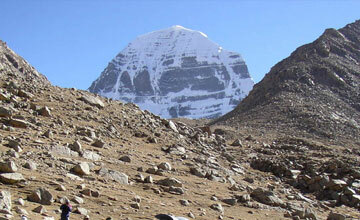 Kathmandu Lhasa Overland tour is a classic 7 nights 8 days trans-Himalayan journey, offering a cross section of Central Tibet. 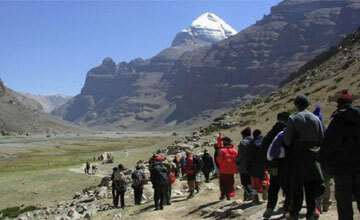 Kathmandu Lhasa overland tour / Lhasa Kathmandu overland tour is one of the adventure trip in Tibet where visitors/Travelers enjoy lot with in short period. 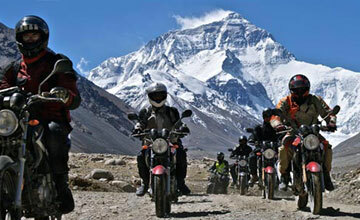 Kathmandu Lhasa overland tour start early in the morning start drive from Kathmandu to Kodari (Nepali-Tibet border) through the beautiful Nepalese countryside with spectacular Himalayan View including Mt. Langtang 7246m, Mt. Dorje Lakpa 6984m and Mt.Gaurishankar 7145m From the Friendship Bridge you will drive up to China immigration check post and Tibetan guide will meet you at the border or check post. 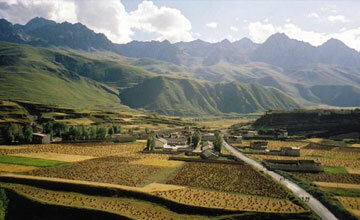 O/N stay in Zhangmu hotel or drive to Nyalam. 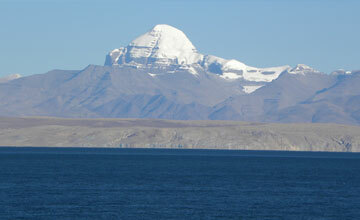 Lhasa overland tour continues to the historic cities of Shigatse/Xigatse and Gyantse. Enjoy fabulous mountain scenery enroute, visit mystical Buddhist monasteries of Tashilungpo at Shigatse, the Kumbum Stupa at Gyantse, and drive past the beautiful Turquoise lake. In Lhasa visit the famous Potala and Norbulinkha palaces, the great Drepung Monastery and walk through the bustling Barkor Bazaar before flying back to Kathmandu (or onward to China). May to September is best time for Kathmandu Lhasa overland tour/Lhasa Kathmandu overland tour which you can do drive in fly out or fly in drive out. Himalaya Journey trekking offer Kathmandu Lhasa overland tour/Lhasa Kathmandu overland tour travelers may choose this private tour option who are not interested in budget tour, rather he / she prefers to travel on his/her own or with own families, or group of friends. 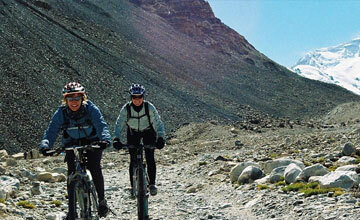 Economically this tour is more expensive than budget tour as transportation and accommodation are upgraded. But budget or group join basis Kathmandu Lhasa overland tour/Lhasa Kathmandu overland tour will arrange according to clients desire. Himalaya Journey Treks & Expedition's reprensatative will pick up from Lhasa airport, where the altitude is 3,650 meters above sea level. 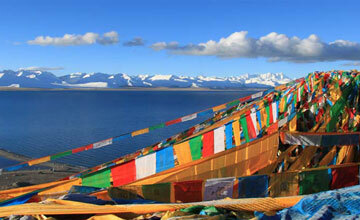 On the way to Lhasa, visit the Nietang Buddha. 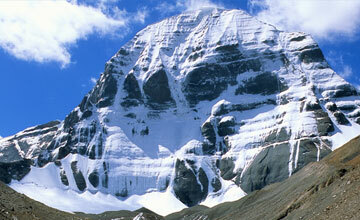 Check in at the Hotel, overnight at Lhasa. 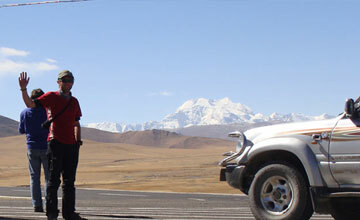 After breakfast drive from Lhasa to Gyangtse and transfer to the hotel. 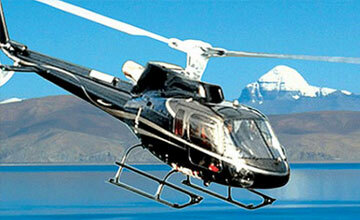 On the way visit the Yamdrok Yumtso Lake and the Karola snow mountain. overniaght at Gyantse. 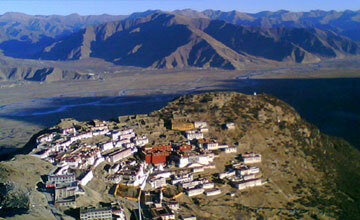 After breakfast drive to Shigatse/Xigatse and transfer to hotel , you will Visit the Palkhor Monastery. overnight at Xigatse. After breakfast drive from Shigatse to Tingri and transfer to the hotel.Visit the Tashilhunpo Monastery and the New Palace of Panchen. . On the way visit the Sakya Monastery. overnight at Tingri. After breakfast drive from Tingri to Zhangmu and transfer to the hotel. overnight at Zangmu. 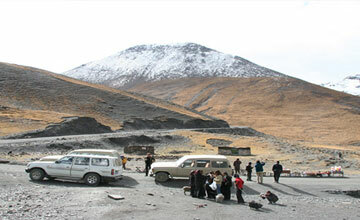 After breakfast drive from Zhangmu tibet boder , after immigration formalities HJT reprensatative will pick up you from Tibet boder to kathmandu and transfer to the hotel. overnight at kathmandu. In the evening farewell dinner in Nepalese restaurant. Overnight at kathmandu. After breakfast, Relaxing/shopping with own activities ,Himalaya Journey Treks & Expedition’s representative will drop to Kathmandu international airport for onward destination.